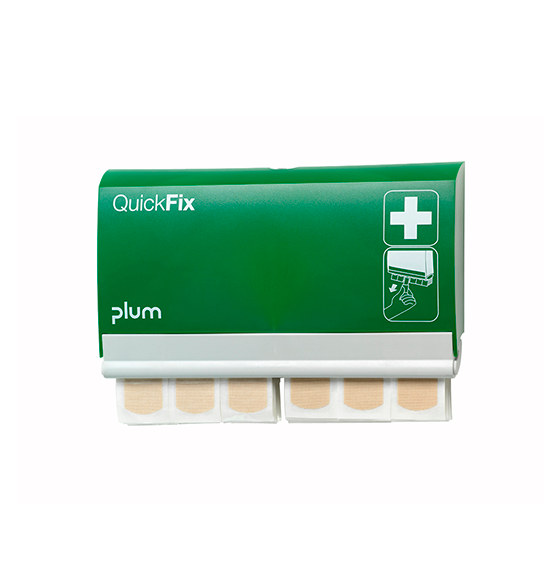 45 water resistant plasters that are particularly suitable for working environments with a high level of humidity. The plasters are made from a protective PE material, which allows the skin to breathe. 45 elastic and comfortable textile plasters that adjust to the movements of the skin. 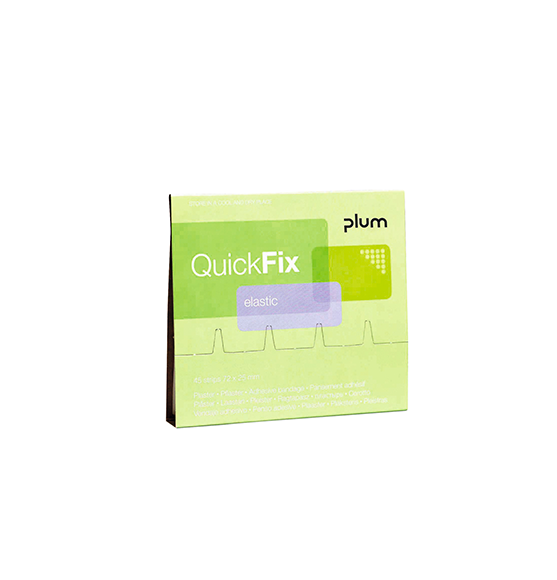 The plasters are skin-friendly and allow the skin to breathe. 45 blue and conspicuous plasters with a built-in metal surface that can be traced by a metal detector. Particularly suitable for the food industry. The plasters are made from a breathable material. 30 long and elastic textile plasters that adjust to the movements of the skin. The plasters are skin-friendly and allow the skin to breathe. The long plasters can be wrapped around the finger several times and are more firmly attached. 30 long, blue and conspicuous plasters with built-in metal surface that can be traced by a metal detector. Particularly suitable for the food industry. The long plasters can be wrapped around the finger several times and are more firmly attached. 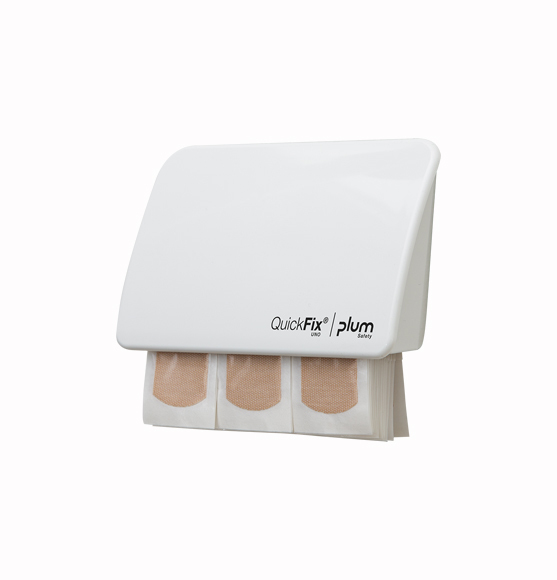 Wall-mounted plaster dispenser with 90 elastic and comfortable textile plasters that adjust to the movements of the skin. 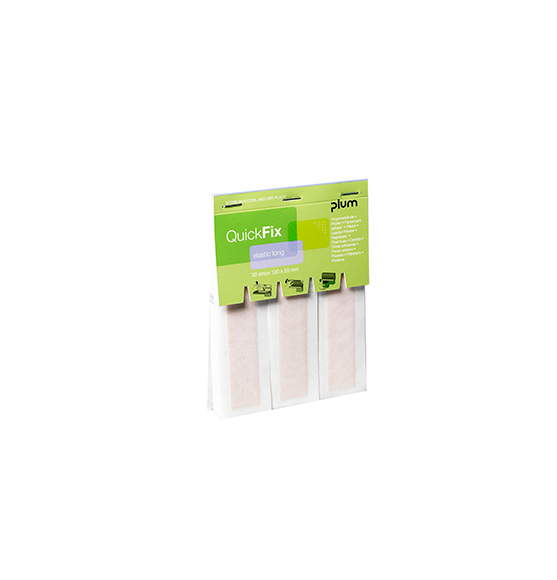 The plasters are skin-friendly and allow the skin to breathe. 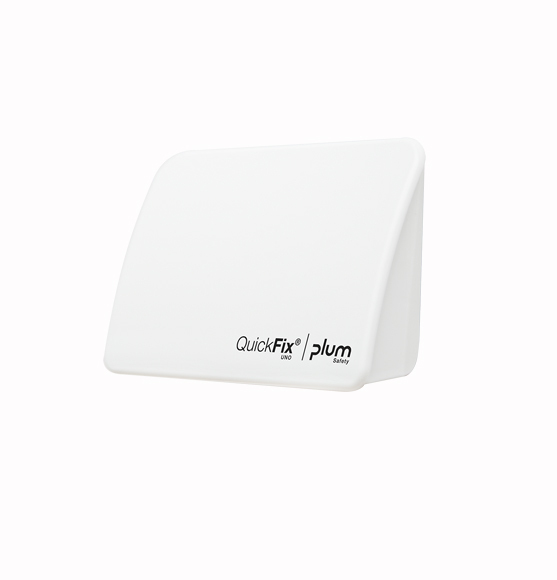 Wall-mounted plaster dispenser with 90 blue and conspicuous plasters with built-in metal surface that can be detected by a metal detector. Particularly suitable for the food industry. The plasters are made from a breathable material. 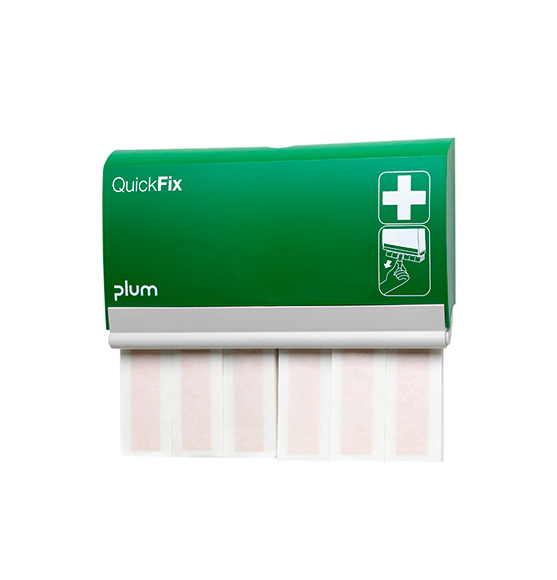 Wall-mounted plaster dispenser with 45 elastic and 45 water resistant plasters. A combination of plasters covering many requirements at the workplace. 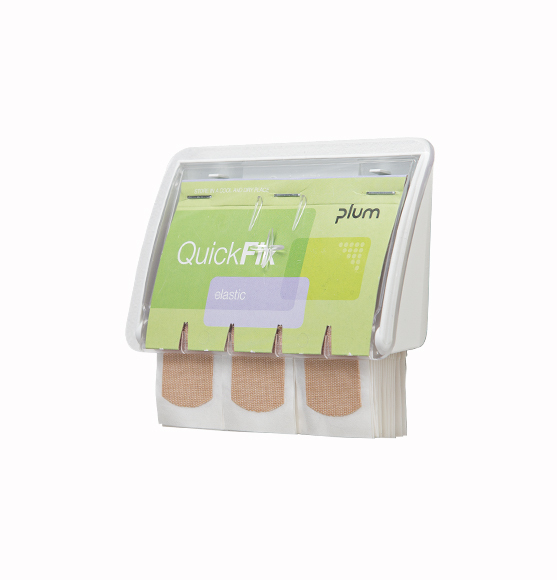 Wall-mounted plaster dispenser with 60 long and elastic textile plasters that adjust to the movement of the skin. 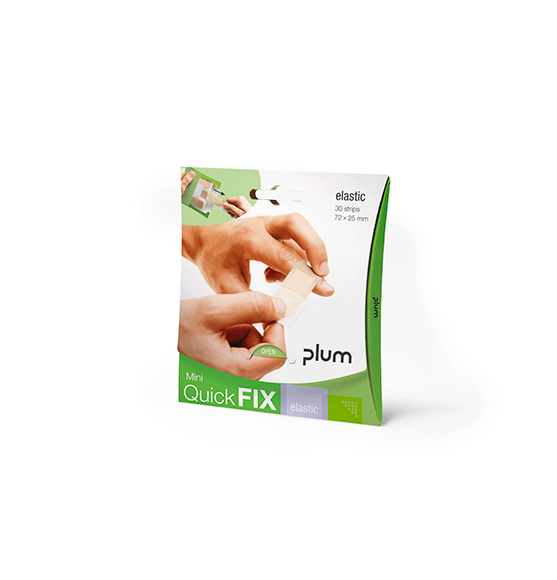 The plasters are skin-friendly and allow the skin to breathe. The long plaster can be wrapped around the finger several times and is more firmly attached. Wall-mounted plaster dispenser with 60 long blue and conspicuous plasters with built-in metal surface which can be traced by a metal detector. Particularly suitable for the food industry. The long plaster can be wrapped around the finger several times and is more firmly attached. 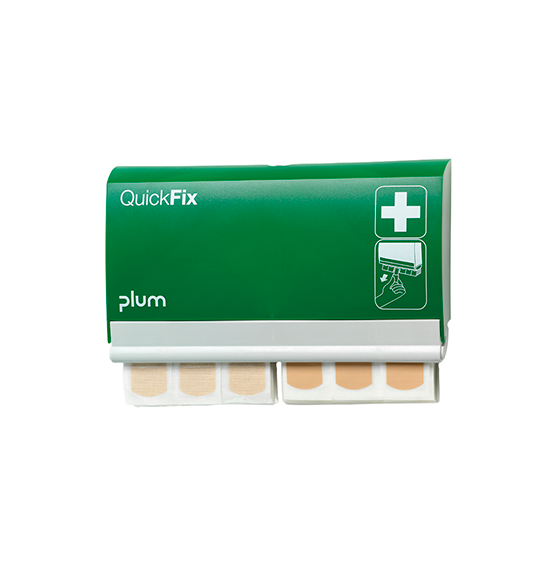 Small and practical pack with 30 elastic plasters. Easy to carry anywhere that you may need a plaster. Each plaster is packed separately and is ready for use just by pulling it from the pack. The plasters are skin-friendly and comfortable, as they adjust to your movements and allow the skin to breathe. 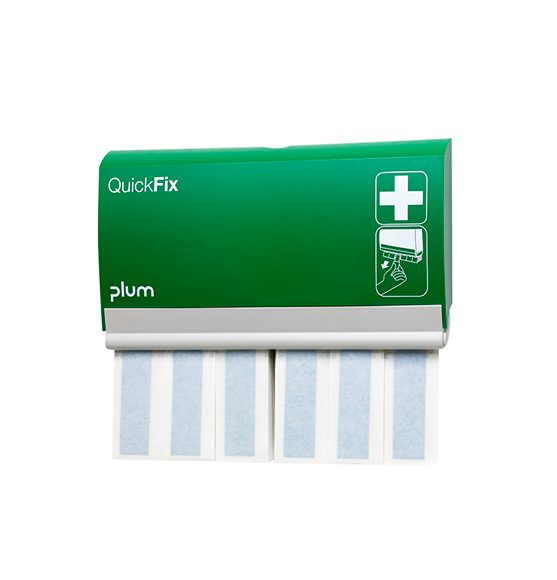 The dispenser contains 45 plasters and offers fast first aid for minor cuts etc. 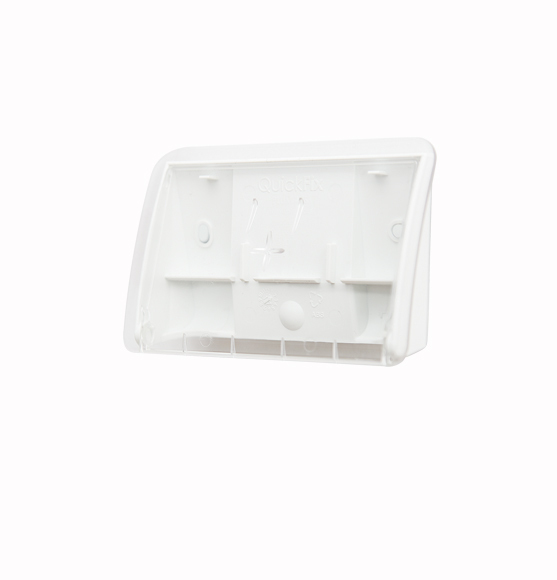 Each plaster is separately and hygienically packed and is ready to use just by pulling it from the dispenser. 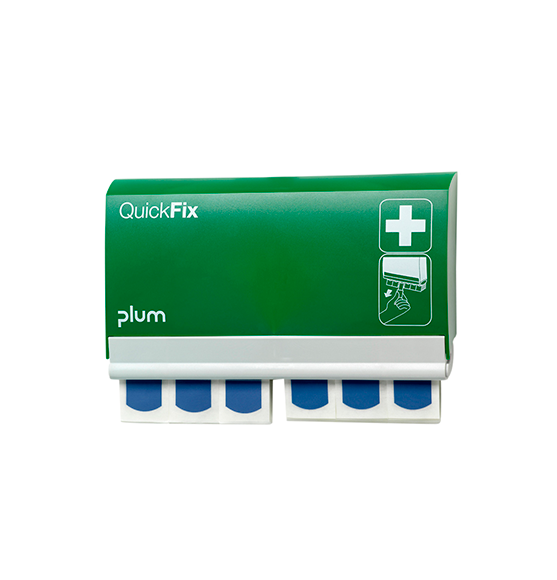 QuickFix UNO fits in anywhere because of its small size (H 8.5 x W 13.0 x D 3.5 cm), and it can either be screwed onto the wall or be attached with adhesive strips. 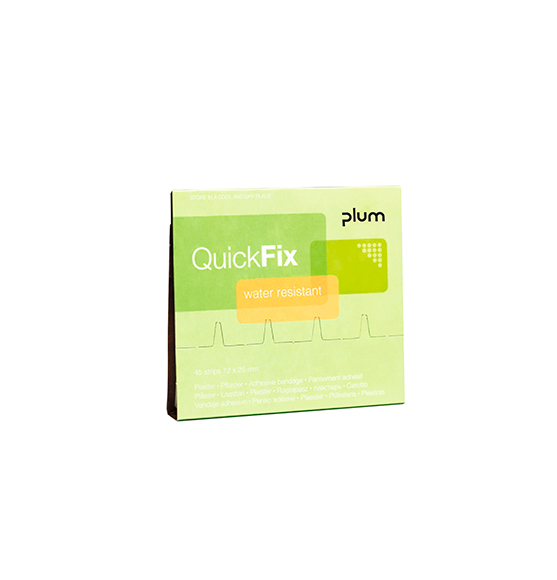 QuickFix UNO White is also available without any refill and it can be filled with any QuickFix and QuickRinse refills. 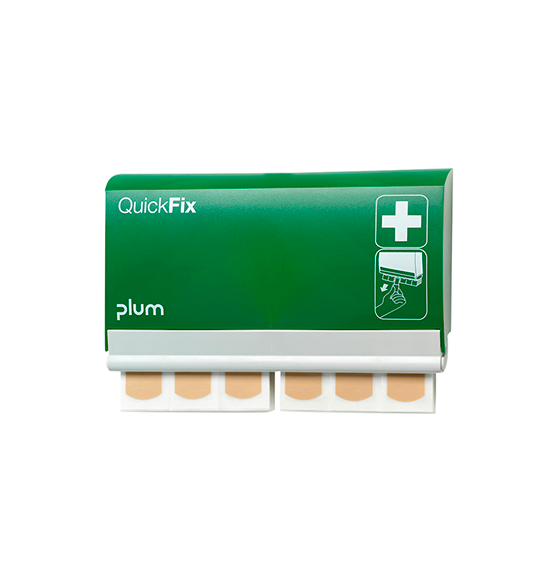 QuickFix UNO fits in anywhere because of its small size (H 8.5 x W 13.0 x D 3.5 cm), and it can either be screwed onto the wall or be attached with adhesive strips. The white dispenser contains 45 plasters and offers fast first aid for minor cuts etc. Each plaster is separately and hygienically packed and is ready to use just by pulling it from the dispenser. 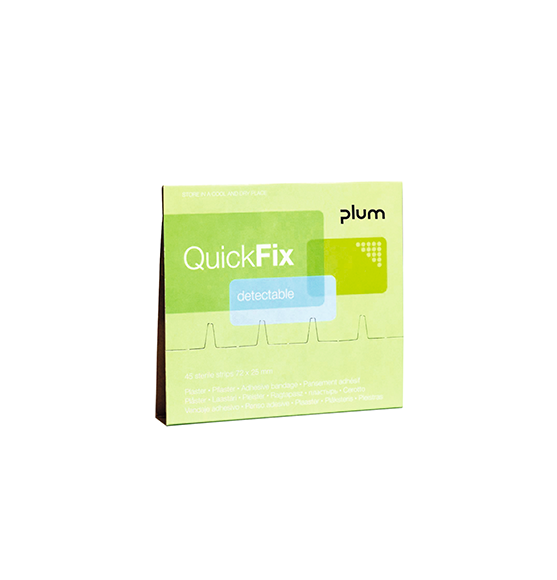 QuickFix UNO fits in anywhere because of its small size (H 8.5 x W 13.0 x D 3.5 cm), and it can either be screwed onto the wall or be attached with adhesive strips. 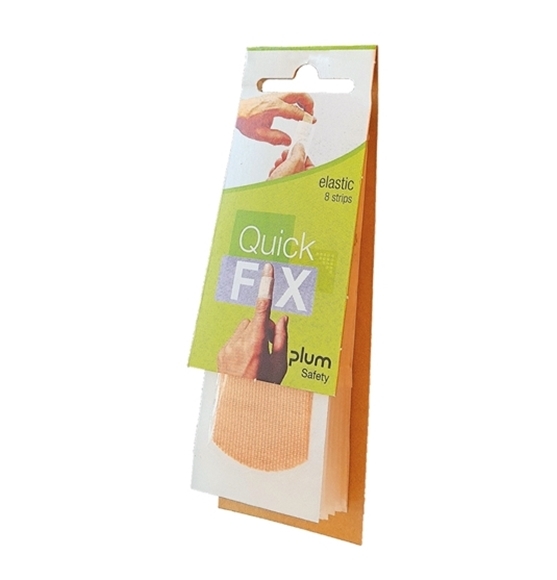 A small and handy plaster unit containing 8 QuickFix Elastic plasters. 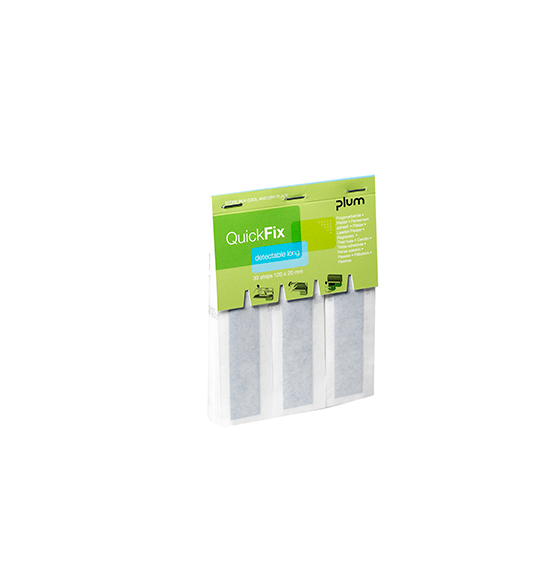 Ideal for on the go and the little unit fits perfectly in any handbag, purse, and pocket or office drawer. Can also be used as samples and giveaways in direct mails, at fairs and exhibitions etc.